Posted March 19th, 2019 by Richard Moran & filed under Uncategorized. Certain phrases are part of the workplace although they never show up in any business word dictionary. “Gotta minute?” is my favorite. You can be assured of certain factors when you hear the question. Whatever it is, it won’t take a minute. If it is important enough for the interruption, you can be sure it will require time. The minute usually lasts for forty-five minutes. 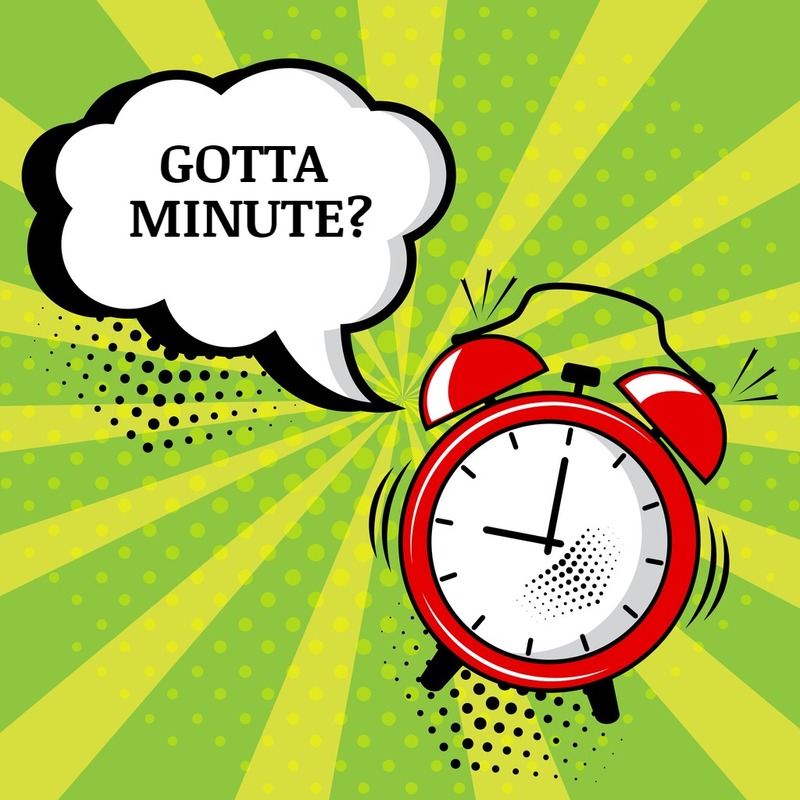 “Gotta minute?” is usually a signal that something really good or very bad is about to happen. On the really good side, it could mean that we met the target or the money is flowing in like a flooded river. Wahoo. On the bad side, it usually means that someone is resigning and it’s usually the person who asks for the minute. If it’s Friday afternoon and your boss asks for the minute, it may mean that today is your last day on the job and you will have many minutes in the future to work on what’s next. “Gotta minute?” when asked very sheepishly might mean there is a personal problem involved. Think someone needs time off because of a divorce or an issue at home. Or, it could mean that someone is about to coach you about your hygiene problem or that you are acting like a jerk. Say thanks for the feedback. Lastly, the “Gotta minute?” person is often the man or woman you have been trying to avoid and not letting on your schedule. Their attack for a “minute” is the only way they can talk to you. Of course, when approached with the “Gotta minute?” question, the answer could be no. But the person who is doing the asking is usually sly and catches you when there is no avoiding the minute. So the best thing to do is to listen for that minute, be empathetic and make a decision about whether or not to continue. Sometimes, we all just need a listener and for that minute, or more, that could be you.